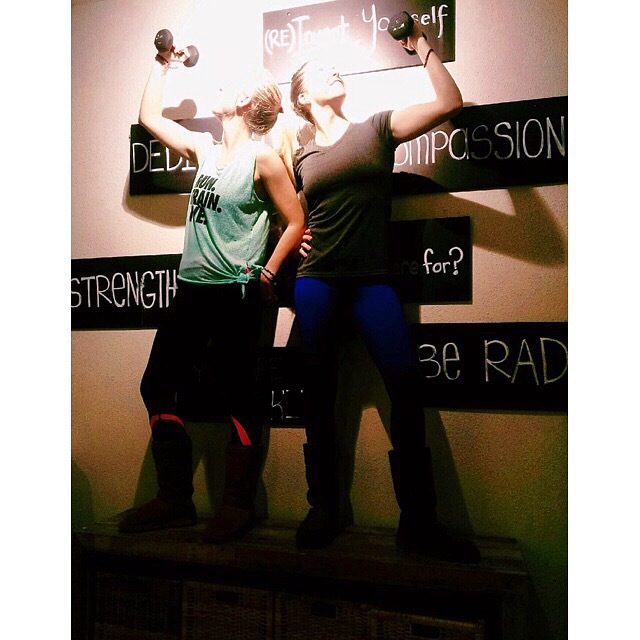 Pre-Super Bowl workout with my supportive, strong, workout partner! 2 hour full body spin class with weights! Having a friend to workout with is not only motivating to go workout, but also calming to me to know that I will be in good hands if something were to ever happen to me during class. I am crazy for doubling up classes, but I’m addicted to these classes.. Not to mention that my best friends are the best instructors around. Now time to sit around all day to watch the game! I purposefully start a hard workout towards the higher blood sugar spectrum so that I can safely last to the end of my workout with good numbers and without a low. I always keep my glucose on me just incase too.